Herbs: used to treat internal conditions such as menstrual concerns, fertility, digestion, menopause, stress and other imbalances within the internal organs, as well as cold, flu, allergies, headache and more. Sometimes patent formulas are prescribed which are usually in easy-to-swallow pill or capsule form, and other times custom formulas are designed to address a patient's specific needs. When making an appointment, discuss with your practitioner what you would like to be treated for. This will assure proper scheduling. Your practitioner can also inform you on the ideal sequencing if you have multiple items you would like addressed, the expected course of treatment and projected outcome. The details will be able to be provided with more clarity after your initial consultation. Acupuncture: An acupuncture appointment includes the full compliment of Chinese medicine and can treat any condition treatable with Chinese medicine. In an hour-long session your practitioner combines acupuncture with any other technique necessary to best meet your needs so you can experience the results you're seeking as efficiently as possible. Included in the treatment along with acupuncture are herbal consultation and recommendations if necessary, and techniques to support the acupuncture may include moxibustion, cupping, gua sha, tuina, craniosacral, heat lamp, electrostimulation, nutritional and lifestyle consultation and recommendations. Cost: $105 initial treatment, $80 follow up treatment. Packages are available. Herbal formulas are at an additional cost. Tuina/Cupping: Tuina is typically used to address specific, often times acute, musculoskeletal pain/discomfort conditions such as elbow pain, shoulder pain, neck and shoulder stiffness and discomfort, back pain, knee pain and more. Athletes benefit greatly from tuina sessions. Herbal Consultation: An initial herbal consultation needs to be done in person but follow up consultations can be done via text by sending a picture of your tongue and answering some questions from your practitioner. Initial consultation may take 30 minutes, follows ups may take 15-20 minutes. You'll get either a prescription to be filled at the Chinese herbal pharmacy or your custom formula will be sent to you through the postal service. Craniosacral: Hour-long sessions of Craniosacral are deeply relaxing and can help to reduce the effects of stress, trauma, anxiety and depression. 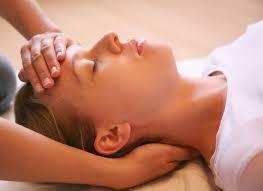 Headaches and other pain can also be addressed. Nutritional consultation: An hour-long discussion with your practioner about how eating habits and food choices are effecting your health. Each session includes establishing achievable health goals on a timeline, identifying changes to make to reach your health goals, and strategies for making changes. 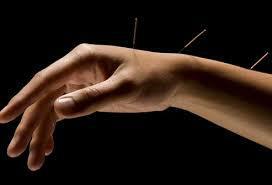 The insertion of acupuncture needles into specific points on the body. Gentle, subtle manipulation of bones, joints and soft tissues of the body with particular attention to the pulsing of the cranial rhythm. The application of glass cups on points or areas of the body. Cups are held in place through suction which is created by heating the air inside the cup. Children from infants to teens are treated with specific, gentle methods. Tools made of metal, stone or horn are drawn across the skin to release tension in muscles. The full term is moxibustion which is the burning of mugwort near the skin so that the heat of it penetrates into the body either indirectly, or through a substance such as ginger or salt, or through an acupuncture needle. 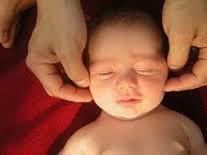 The hands-on manipulation of tissues with the goals of increased mobility and function, and decreased discomfort. Great for athletes. 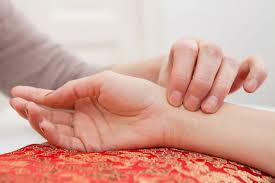 In Chinese medicine the pulse is palpated in three locations on each wrist, at both superficial and deep levels. 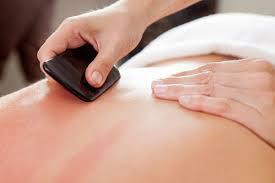 The quality of the pulse helps the practitioner choose the appropriate course of treatment.